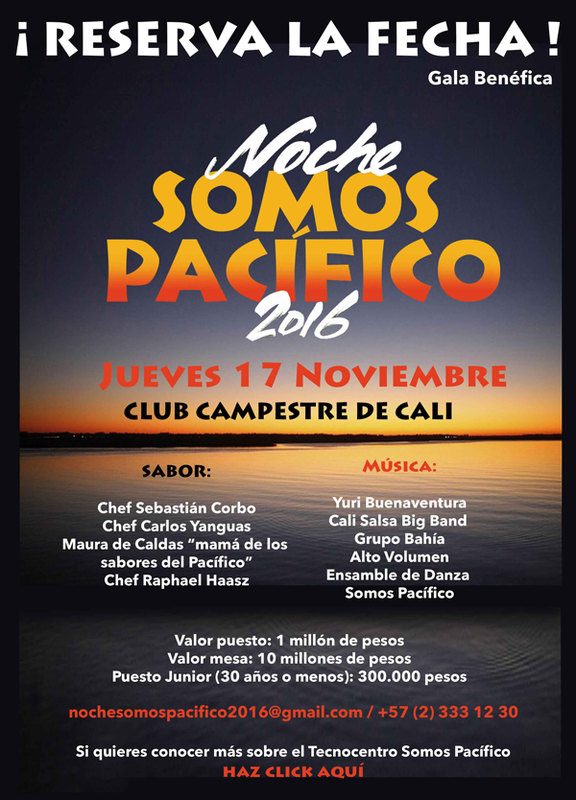 The Alvaralice Foundation and the Friends Club of Somos Pacífico will hold on November 17 at Club Campestre, the gala night “Somos Pacífico”, an initiative that seeks to strengthen the Tecnocentro Cultural Somos Pacífico. The cuisine will be inspired by the flavors of the Pacific coast through the hands of the Director and Executive Chef of Mikocina and Gastronomic workshop Carlos Yanguas, “the mother of the flavors of the Pacific” Maura de Caldas, the Chef of the Campestre Club Sebastián Corbo y Pastry chef Raphael Haasz recognized for his international trajectory in the restaurant “Café Baoulud” with three Michelin stars. Tecnocentro Somos Pacífico, is a city project that finances 60% with public resources and 40% with contributions from the private sector. This community center is the meeting place where more than a thousand children and young people, living in the Potrero Grande district of Cali, participate in extracurricular activities that allow them to make good use of their free time in programs of income generation, dance, art, English and information and communication technologies (ICT). In this sense, he reiterated that the Alvaralice Foundation is committed to disseminate and make known the Tecnocentro to all the people of Caleños, as well, it promotes the Friends Club so that with small donations from all citizens the project achieves the sustainability required by its programs. The Friends Club of Somos Pacífico has prepared a campaign that will dress the city with the protagonists of the dreams that were born in the Tecnocentro Cultural SomosPacífico and that today are testimony of hope and opportunities, as it happened in New York last 7 of July. Potrero Grande has one of the highest birth rates in the city, where as of November 2015, with 32,000 inhabitants, 20,000 were under 20 years old and last year ended with the highest number of homicides in the city. For all this it is of vital importance that the Caleños, take ownership of programs like this that are sowing lasting peace for the benefits and opportunities that they offer their beneficiaries. The interest of the Alvaralice Foundation is to promote alliances and additional sources of income for Tecnocentro and thus, to ensure that more children and young people, mostly displaced, change models of violence, leisure and drug addiction, for new learning, in activities related to Art, English, technology, and job skills, which will undoubtedly guarantee them a better future for themselves and their families, said María Eugenia Garcés Echavarría. The message of this campaign will be: “Caleños and Vallecaucanos, contribute to a city where the inhabitants of the commune 21 are entrepreneurs, creative and generators of employment. Become a friend of Tecnocentro Cultural Somos Pacífico “.